Goldman's other three mounts, Balavan, Hindsight and Sovereign, also owned by Mary Goldman, finished second, third and fourth respectively. Goldman qualified to ride in the $100,000 InIt2WinIt Championship to be held at the International Omaha in April, 2018. Other riders qualifying for the Championship at HITS Balmoral were Brooke Cudmore of Omaha, Nebraska, riding Karen Cudmore's Cassin; Christian Heineking of Hudson Oaks, Texas on October Hill Hunters and Jumpers' Leonie, and Steve Schaefer of Maple Park, Illinois, riding his Caribe. Brooke posted a clear round in a time of 74.597, earning the fifth placing, beating Heineking's time of 75.926 with one rail down to place sixth. Schaefer finished seventh despite a refusal, with a time of 77.220. The top four riders in each qualifying class are eligible to compete for the Championship in Omaha. o the qualifying shows in the Midwest. I think it is pretty incredible." Cudmore and Heineking echoed Goldman's thoughts. "I'm excited that the Finals will be in my back yard," said Cudmore, whose family's Heartland Farm is located near Omaha. "It will bring a lot of people to see a really fun class." "Omaha is a very special place to me," agreed Heineking, who has enjoyed phenomenal success winning four Grand Prix events at the International Omaha since 2012 and who rode there in last year's Longines FEI World Cup Finals™. 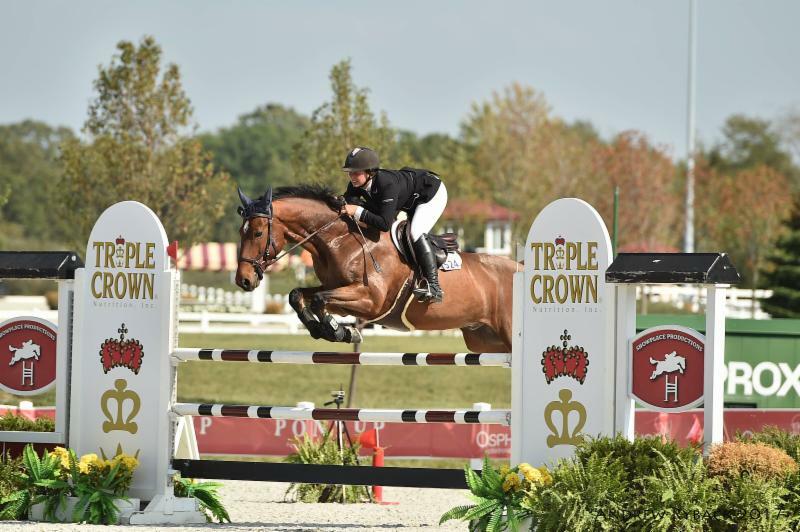 The goal of the Omaha Equestrian Foundation, host of last year's FEI Finals in both jumping and dressage as well as the International Omaha event, is to bring high caliber international equestrian competition to the Midwest. Lisa Roskens, OEF founder and chairman, said, "This series is designed to give riders from the Midwest more opportunities to compete at a high level in the area. We couldn't be more pleased to have riders such as Lisa, Brooke, Christian and Steve among the first qualifiers for next April's Championship." 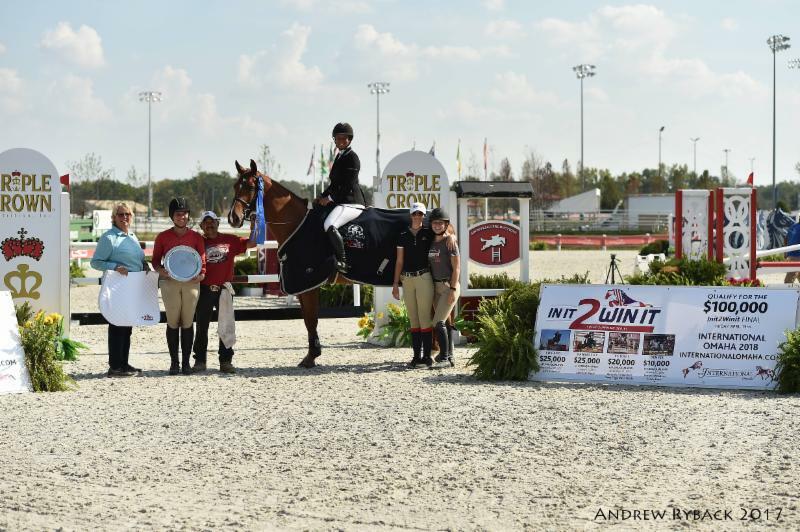 The $25,000 InIt2WinIt Class at HITS Balmoral was the first of four classes at four different horse shows throughout the Midwest at which riders can qualify for the championship in Omaha. The next qualifier will be a $25,000 InIt2WinIt class at the American Royal in Kansas City, Missouri on October 13, followed by a $20,000 InIt2WinIt class at the Queenie Productions' St. Louis Horse Show on November 11. The final qualifying class, a $10,000 class, will be held at the National Western Stock Show in Denver, Colorado on January 12. Riders can also qualify for the InIt2WinIt Speed Jumping Series Championship in Omaha through Wild Cards issued by each qualifying show and the Omaha organizing committee, and through monies won at qualifying events. Riders do not have to compete in all of the qualifying events. The International Omaha on April 12-15, 2018 will be held at the World Cup venue, the CenturyLink Center on Omaha's downtown riverfront. 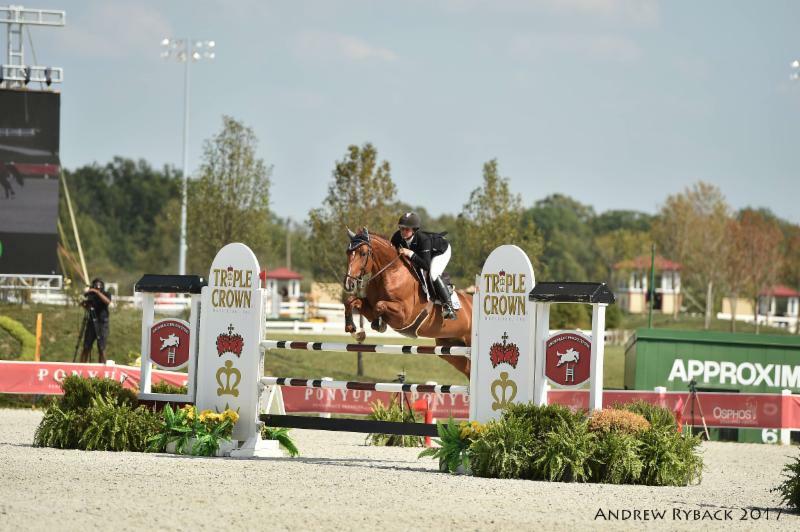 Besides the InIt2WinIt Championship, it will feature a $130,000 International Grand Prix in jumping and a Dressage Team Challenge featuring Grand Prix, Freestyle, Youth and Amateur riders. Spectators also enjoy outstanding shopping, demonstrations, educational exhibits, entertainment and dining, all under one roof. Others who placed at the Balmoral InIt2WinIt Speed Jumping qualifier were Brooke Cudmore on Igor (81.887) in 8th place; Steve Foran of Lake Forest, Illinois on Ashleen Lee's Nakiska (82.400), finishing 9th; and 10th place went to junior rider Nicole Peterson from Plano, Texas, riding Christian Heineking's Diokaldo (82.795). Further information on the 2018 International Omaha and the InIt2WinIt Speed Jumping Series is available on line at www.InternationalOmaha.com.